We are seeing an increased number of attempts to access systems using phishing emails – these are often clever emails that look like real ones which hackers love. They dangle their bait in front of your users, waiting for them to swallow it, offering up valuable information, access, and assets. And they’re really good at it. 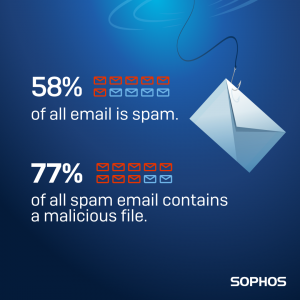 People are now six times more likely to click on a phishing email than a genuine one. In the last year there’s been a meteoric rise in phishing attacks! Can you spot a phish? 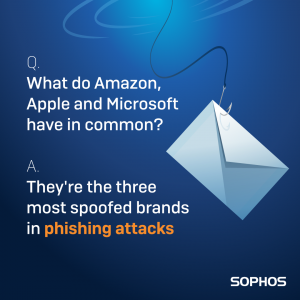 Test your skills with the Sophos Spot the Phish Game. Will you take the bait? Or will you avoid the phisherman’s net? 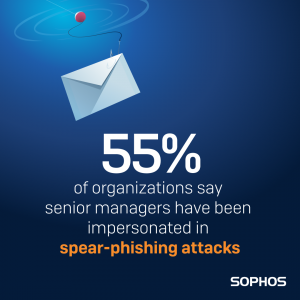 To find out more about how to educate your users on the dangers of phishing and how Sophos can help protect your business, contact us today. Watch this short video to learn more about phishing and how to stop it!